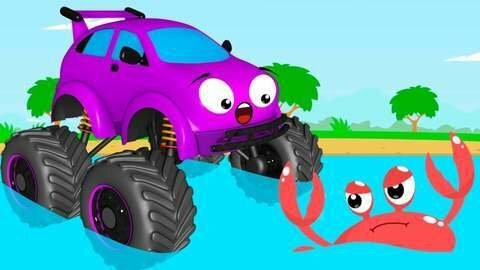 The Purple Monster Truck and Yellow Race Car meet on the road and start a race in this episode of car cartoon for kids. See all the trouble they go through because of racing. They even fall in the hole Excavator made to repair the road. Keep on watching all the car cartoon videos and find them all at SeeZisKids.com.